It’s great to be back at LCO after a 15 month drought from observing here. That’s the longest I’ve gone without being here since 2009! All the same great people are still here, and it’s a pleasure to be back working with the staff and MagAO team. If you’re wondering about the title of the post, it’s from a new sign in the Clay Telescope kitchen that seems to have to do with making sure not to steal the dishes. Maybe it reads less like an edict from a communist authoritarian government in Spanish (“Colaboremos con el orden y trabajo”). Tonight started with a unimpressive, as in barely noticeable, penumbral Lunar eclipse, but a nevertheless beautiful Moon-rise. The Moon is an astronomical object that my little thermal IR camera can detect for sure. On the other hand, Jared and I are considering writing our own FLIR control software for observing alpha Cen. Moon rise at 10 microns. This afternoon I did Google Hangouts with both of my sons’ science classes. I think there was only one question asked by both sets of kids, and it was how much it cost to build Magellan. 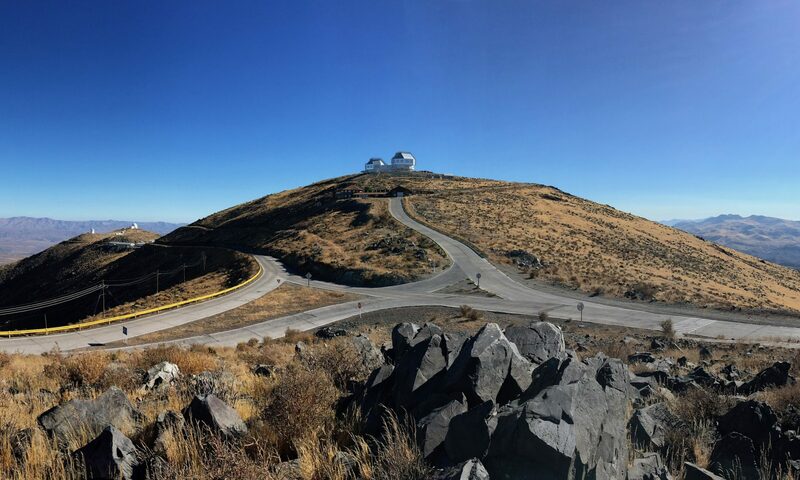 The best question I got was, “What is the most surprising thing you’ve ever found at the telescope?” I love the question, but I didn’t have the heart to explain how many hours of data reduction go into discoveries after leaving the telescope. Unfortunately, the slow internet connection we’ve had here meant they didn’t get to fully appreciate the video show that Mauricio put on as he slewed the telescope for them. Speaking of Mauricio, here’s a cool (pun intended) picture of him washing the Clay primary with CO2 yesterday, in the IR, of course. Cleaning Clay’s primary with cold CO2. I saw two vizcachas at the ASB this afternoon and four vizcachas out behind the telescope tonight. You want to see IR photos of a vizcacha, you say? Why, of course you do.